Instagram and Fotobabble: a match made in heaven for high-performing social media campaigns. The slick immediacy of Instagram paired with the creative photo contests you can run with Fotobabble means endless potential for engaging fans on Facebook or through other channels. Fotobabble helps you harness the power of Instagram and tap into their user base of over 60 million strong. Brands have used Fotobabble to run photo contests to increase likes, brand awareness, and engage users with voting, like-gating, customized photo galleries, and more. Now, you can use photos from Instagram to fuel your social media campaigns. Encourage your fans to submit their favorite Instagram photos for your contest and ask them to share them with friends, increasing the virality and the fun of your campaign! Best of all, your social media campaigns can go completely mobile. Users can snap quick photos with Instagram and upload them instantly to the Fotobabble iPhone App. Fans can record their own audio to create “Talking Photos” from Instagram shots. Read more here for examples of how brands have used Fotobabble to run successful photo campaigns. Fotobabble doesn’t just pair well with Instagram – it can also be used with Pinterest as a powerful tool for brands. You can make your own Talking Photos and easily “pin” them to your own branded pinboards to create a “Talking Catalogue” for your products. Or pin Talking Photos from your last office party to personalize your company for your fans. Read more here about how you can use Fotobabble and Pinterest together. Twitter and Fotobabble is another fantastic combo. Tweet Talking Photos instantly to connect with fans and add excitement to your brand. Plus, you can say a lot more with a great photo and your own voice than you can say with 140 characters. 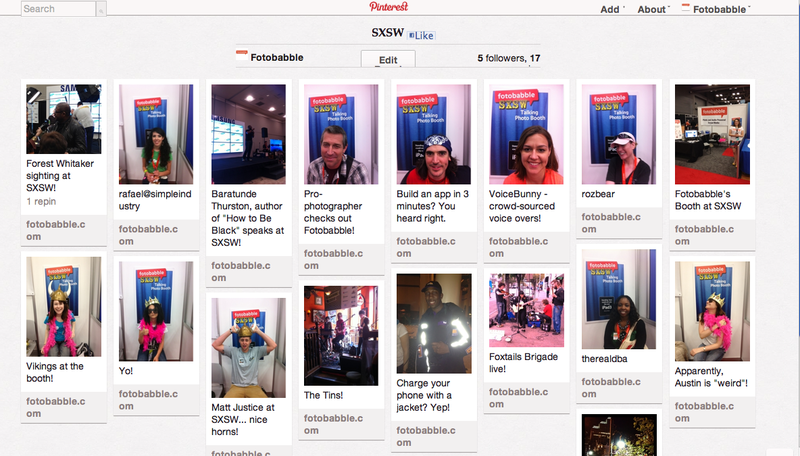 Questions on how you can use Fotobabble with any of these online tools to build your brand? Feel free to contact the Fotobabble team at fotobabble@fotobabble.com. This entry was posted in Case Studies, Fotobabble News, Quick Tips & Best Practices and tagged "facebook photo contests", "fan engagement", "fotobabble for facebook" pinterest, "photo contest", "user engagement", instagram, twitter. Bookmark the permalink.